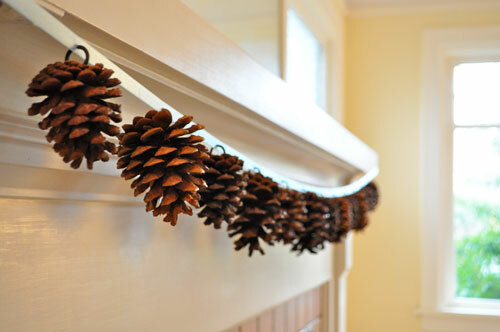 Today I'm sharing two easy crafts made from pine cones. I haven't tackled these ones myself since I'm out of town, but they're on my to-do list...maybe for next year? When I said "easy", I meant EASY! 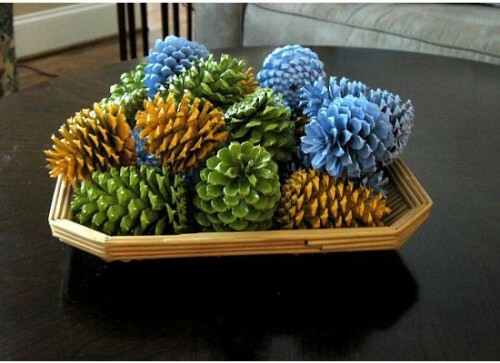 Just find some pine cones (or buy some at a craft or hardware store) and spray paint them a variety of colors. After they dry, place them in a large bowl or hurricane vase and place on your table for a centerpiece or on your mantel for a dash of Christmas color. I adore these bright colored cones, and the great thing about them is that they don't scream "I'm a Christmas decoration!". They look like they could stay out all winter long and not look out of place. This tutorial is from the Twig & Thistle blog. I love the natural look of this garland, but I also think it would look fab if the pine cones were painted a metallic silver or gold. You can't go wrong! 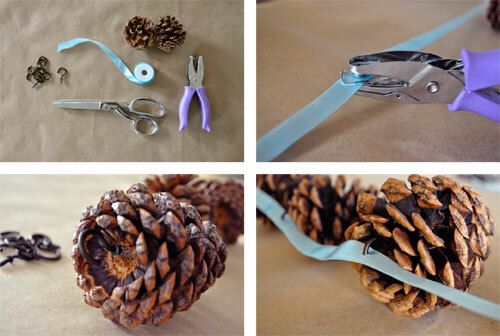 There are tons of other fun projects you can do with pine cones - wreaths, ornaments, a topiary... The options are endless. Now, if I could just find some pine cones laying around...sometimes I feel wrong buying something I can find for free in nature. Bottled water anyone? Such colorful and pretty pinecones. Hi, I love this idea and have put your link on my Lost Delights facebook page where I am into recycled crafts etc. 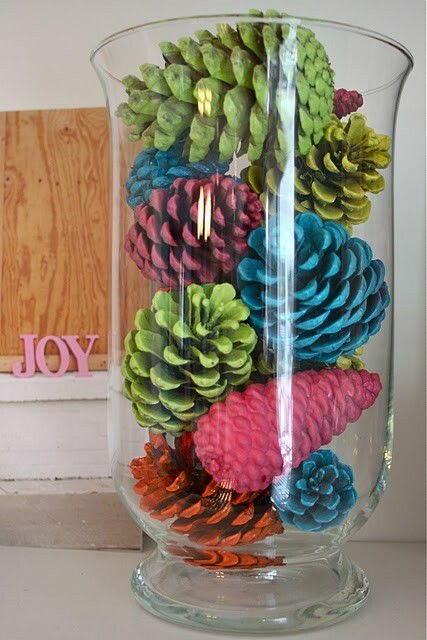 love your pinecone ideas!!! now i know what to do with all the pinecones in my VA yard,,,gifts for my AZ friends, they will love them! !